Tanzania with superb array of wildlife sightings, white sandy beaches and good transportation throughout has the incredible potential for family safari tour in Tanzania. The ultimate challenge is finding Tanzania family safari that appeal to the whole family, including kids and adults. Lights On Africa Destinations & Safaris has been providing Tanzania family safari tour itinerary, ensuring extravagant safari experience that will amuse, entertain, enthrall and educate whole family for sure! We will offer Meet and Greet service at Kilimanjaro International Airport and will transfer you at the hotel in Arusha for dinner and overnight stay. We will provide an afternoon flight to reach Serengeti from Arusha to enjoy a game drive in the afternoon. While visiting Serengeti, catch an up close glimpse of great migration and if you’re lucky enough and choose a family safari in Tanzania during right time, enjoy seeing millions of wildebeest gathering together as the intensity of wildebeest migration enhances. Though majestic “Wildebeest Migration” is a spectacular annual phenomena; consider exploring the Serengeti National Park on a right time period. During your safari tour in Serengeti National Park, you will enjoy full board accommodation for two days at the Serengeti Serena Lodge. It’s the second day of your Tanzania family safari and you will enjoy game drives both in the morning and afternoon. When you’re in Serengeti National Park, you’ll get to explore wonderful wildlife species in the Serengeti plains. In the morning you’ll enjoy breakfast at Serengeti Sopa or Wildlife Lodge. Then, you’ll head straight to Ngorongoro Crater via Olduvai Gorge and enjoy a picnic lunch along the route. When arriving Olduvai Gorge, you will explore the archaeological history of Olduvai before reaching Ngorongoro Sopa Lodge for your accommodation. Ngorongoro Crater is the most renowned conservation area, where travel enthusiasts often get a chance to see the “Big Five”. You can enjoy staying at the Ngorongoro Soap Lodge for two nights on a full board basis, where the high altitude Crater Rim will make sure a peaceful as well as delightful good night’s sleep! After taking breakfast at the early morning, enjoy a full day game drive in the Ngorongoro Crater as well as a picnic lunch. After all, the crater has rich wildlife concentrations; your day in the Ngorongoro Crater will be packed with magnificent sights and sounds of the wild species echoing inside the crater walls. In the early morning, you’ll be transfered to Lake Manyara National Park. After reaching there, you will walk around the rim of the Great Rift Valley with a local Masai guide. Then, enjoy delicious lunch and explore large herds of elephants and varieties of bird species as well as leopards, lions hunting on the grassy shores of the lake. You’ll spend your overnight at the Serena Safari Lodge on a full board basis. After having breakfast at the lodge, you’ll leave Lake Manyara to arrive at the Tarangire National Park. In the afternoon, you’ll be provided with a game drive along the park and you’ll see many animals congregating around Tarangire River – the permanent water source in the national park. Keep in mind that, this is the place where you’ll see huge elephant herds up to 300 at a time in Tanzania. You’ll enjoy full board overnight accommodation at the Tarangire Sopa Lodge. You’ll leave for Arusha after having breakfast at the Tarangire Sopa lodge and will arrive in the late morning for your flight to return home. Sadly, but truly, it is the last day of your family safari in Tanzania. Looking to experience all these sightings on a Tanzania family safari? 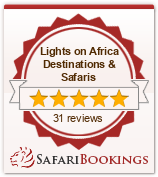 Book with Lights On Africa Destinations & Safaris today and let’s find what exactly the country has on offer family – including kids and adults!